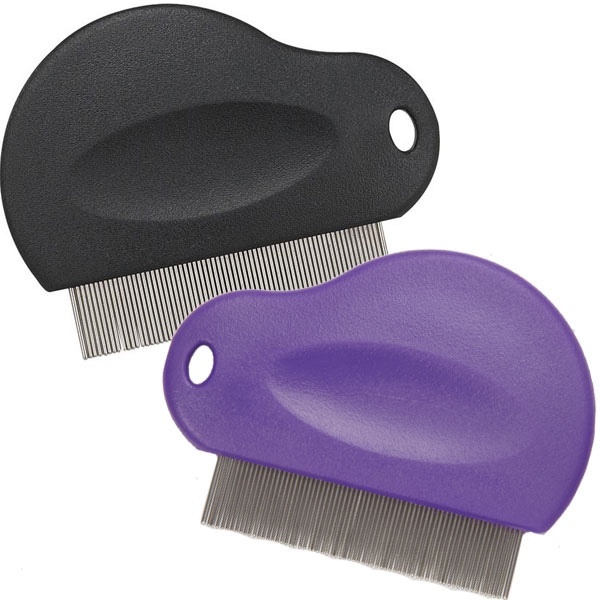 Our Master Grooming Tools Contoured Grip Flea Comb features an ergonomic plastic handle that fits perfectly in the hand for combing without fatigue. So small it fits in your pocket! Close pins easily remove fleas, flea eggs and debris from the coat. Easily fits into a pocket. Grip is high impact plastic.